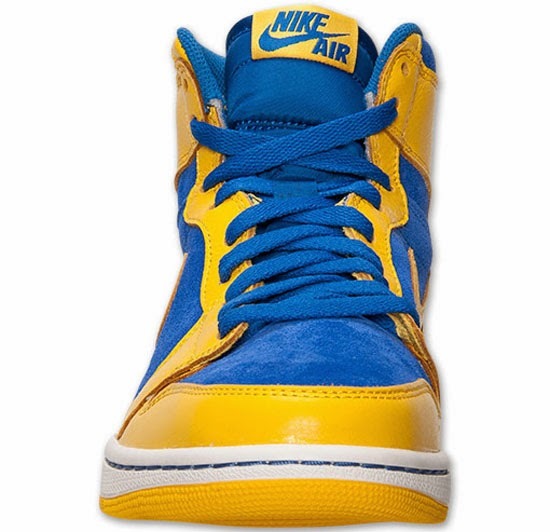 Known as the "Laney" edition, this Air Jordan 1 Retro High OG comes in a varsity maize, game royal and white colorway. 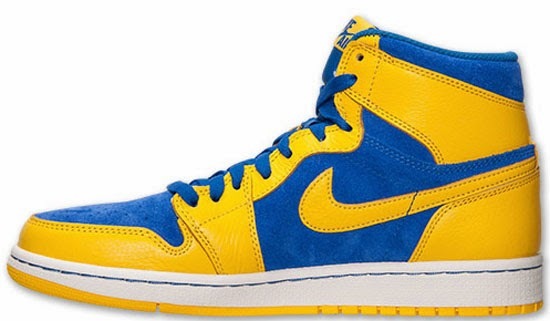 Inspired by MJ's high school alma mater's team colors. 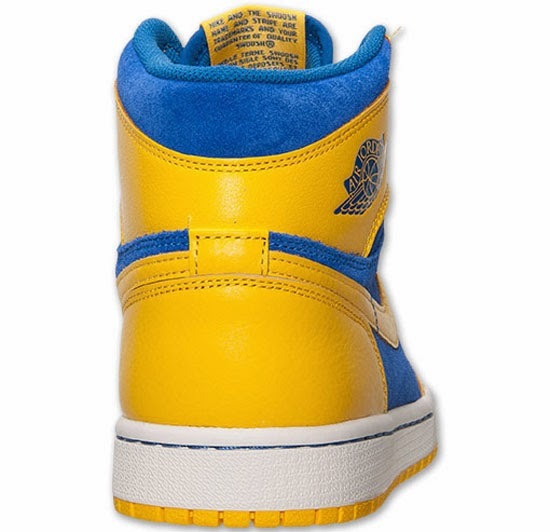 They feature a maize yellow leather and royal blue suede upper with a white midsole and maize outsole finished off by "Nike Air" branding on the tongue tag and insoles. A limited release, they are available now at select Jordan Brand accounts worldwide and were released on Saturday, November 16th, 2013. Retail is set at, $140 for men's sizes which come in an OG-style Air Jordan I "Nike Air" box. 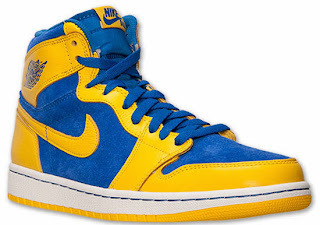 They are also available in GS (gradeschool) sizes retailing for, $100. 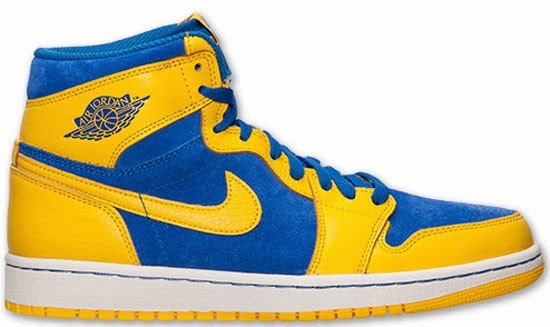 Enjoy the official images below of the "Laney" Air Jordan 1 Retro High OG in varsity maize, game royal and white. If you're interested in picking these up when they release, check in with your local spots to see if they received them. Those of you looking for a pair now can, grab them from eBay here.